You want to learn to build?! Are you nuts?! Building is extremely addictive and at times equally frustrating! You will lose countless hours trying to manipulate virtual building blocks in an often unstable environment. And you will frequently discover builds made by other people that will make you feel like a complete newbie! I have been building for many years and I'm still amazed at how little I know about something I am so obsessed with. Ok.... so you want to learn how to build in OpenSim. The good news is that OpenSim is the best place that I've found for builders to experiment and share with other people. The bad news is that the best learning tools are still found in Second Life. You need somewhere that you can rezz and edit items. A public sandbox will work if you do not own your own land or region. You will also need time and patience! It's not easy, but that's what makes it all so worth it when you finally reach that "aha!" moment when you figure out how to make something work. Just stick with it and expect failures, accompanied by frustration, followed by.... Way Cool! There are numerous aspects to learning how to build and it's tempting to just jump right in and tackle them all, but I recommend that you start with the basics and that is Prims (which stands for Primitive). 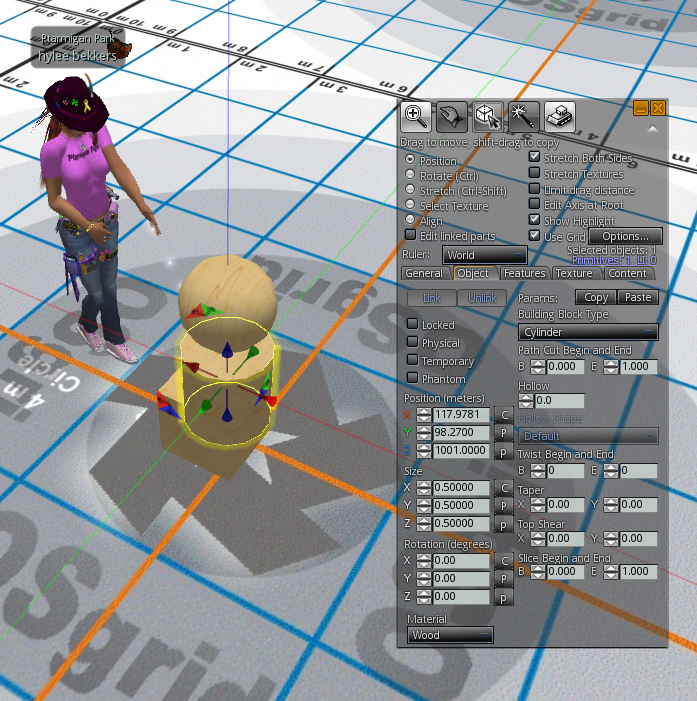 A prim is the basic building block in Second Life and OpenSim and comes in a few different flavors. You can just search for Ivory Tower Library of Primitive on the SecondLife map and teleport right to it. The Ivory Tower of Prim is one of the best tools that I have found to teach you how to manipulate and build with prims. It takes you from the very basics and advances you up a tower to more complicated aspects of building with prims. Once you get the basics down, I have found that exploring other people's builds is another great way to learn. Take a full permissions item, rezz it from your inventory, and take it apart to figure out how someone put it together. If you mess up... no big deal... just delete all the parts and rezz it again from your inventory. Keep in mind that you can only do this with items that have Modify and Copy enabled in the permissions. I also recommend that you experiment on wide open land with no other builds around. It's very easy to accidentally destroy a build while trying to create or edit another. Keep in mind that prims are just a small part of building in the virtual metaverse. There are also sculpted prims, and mesh models. Then there are the textures that you use to cover the objects you build, the scripts you add to make them do something, and don't even get me started on particles! For other aspects of building and life in the metaverse, check out some of the tutorials on YouTube. Some of my favorites are by a person named Torley. Just search Torley Tutorials in Youtube to bring up numerous videos showing you how to do a wide range of things that are very easy to follow. I did say that the best learning tools can be found in SecondLife, but the best resources for your continued learning are without a doubt found in the OpenSim community. Those resources are the friends and contacts that you will meet there. 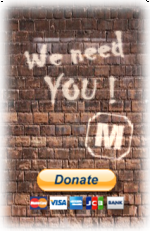 I have found that the majority of the people in OpenSim love to help other people and share what they have learned. I have learned much more in OpenSim than I ever learned in SecondLife and I contribute that to the sense of community. If you have any questions or projects that you need help with, please feel free to contact me. I am the first to admit that I am not an expert and won't be able to answer every question, but I probably know where to find the answer! 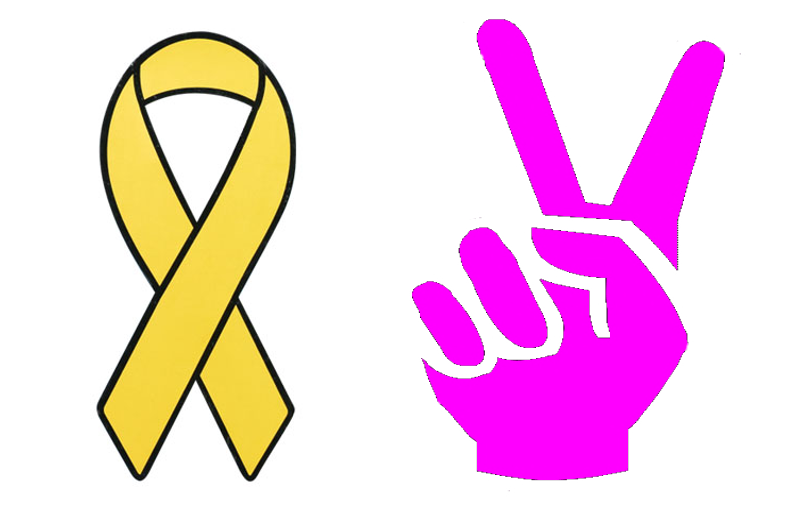 Is it possible to support your troops and advocate peace at the same time? Hylee's Second Life now has it's own domain! So, when you see the re-direct.... it's for real! What?! You don't host your own regions?! My passion in OpenSim is building and content creation. I've tried hosting my own regions and quickly discovered that I don't enjoy the IT end of this little adventure. And I am not very good at it! Zetamex is not my first hosting company since I moved to OpenSim from SecondLife, but they are the best so far. I chose Zetamex because of a recommendation from Maria Korolov at Hypergrid Business. I have stayed with them because customer service is important to them and they have gone out of their way to resolve any problems I might have in a timely manner. I understand OpenSim hosting companies have a very tough job. They often do not have any control over the Grid. The OpenSim software is still considered beta and is in a constant state of flux. They have no control over the viewers. And I tend to tax regions to their limit and beyond! Zetamex does a very good job hosting my 4 regions on OSgrid and my 1 region on Metropolis and worth every penny I pay them! 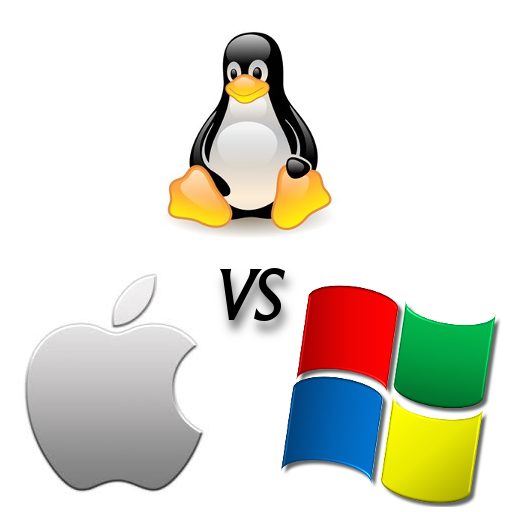 What operating system is best? I get this question every once in a while and it is a tough one. The answers that I have received from others and the reasons behind them are as varied as the people themselves. First off, let me tell you that I am not a computer expert by any stretch of the imagination so I will not be giving you a technically qualified opinion. I use computers quite a bit at work and in my hobbies, but I still rely heavily on "the experts" when the proverbial hits the fan. So, what I am offering today is based on personal preference which I think in the long run is what works best for everyone based on what their needs are. I started using computers in the early 80's. My first computer that I used for work was running DOS 1 and my home computer, which was little more than a toy was actually running basic. In 1987, we decided that we needed a "real" computer for home and at that time most PC's were running DOS 5 which we found a little cumbersome, so we checked out a Mac SE which was running (I think) OS 6. We "test drove" a few different computers and eventually decided on the Mac because of it's ease of use. I continued using Windows machines at work and we continued using Mac products at home, So I'm pretty familiar with the evolution of both at least from an end user's perspective. I currently have a Dell machine running Windows 7 at work and a 27" iMac running the latest OSX at home. Both machines have similar hardware specs except that the iMac is running a 3TB Fusion Drive (part SSD and part HDD). Both machines are about the same age and have quad core i7 processors, 16GB of Ram, and 4GB of Video Ram. Both machines have 3 monitors. (yeah... I'm a bit of a geek) I have not had a lot of experience with Linux beyond what I have installed on my Mac and a Netbook I used to own, so I can't really comment on it aside from saying that people I know who use it seem to love it! Of the two machines I work on..... I prefer the Mac.... and now starts the personal preference part of this article. My Mac boots in seconds. I usually boot my Windows machine from home before I leave for work in the morning so it will be ready for me when I get there. I do a fair amount of music, graphics and video editing. I prefer editing on a Mac because the software that is available for the Mac is generally superior to what I have tried on Windows and when I have two programs that are the same, such as Gimp, I find that it runs better on the Mac. I run Symantec anti virus on both machines despite the fact that most Mac users don't even bother with anti virus. My anti virus on my Mac uses a fraction of the resources that my Windows machine does. My Mac has never (knocking on wood) been plagued with a virus or any kind of malware except for the occasional website that refuses to let go. I get something on my Windows machine a couple times a month that require me to spend time fixing it. My iPhone and iPad work seamlessly with my Airport Extreme Wifi router and iCloud and is very easy to set up and use. Setting up my windows machine to do similar tasks, even with my android tablet is often painful. I have used most of the viewers out there for OpenSim and SecondLife. I have found that most of them work better on my Mac. I tend to get a higher frame rate and I can generally run at higher video settings on my Mac than on my Windows machine. There are times, at home, when I do need Windows for some programs that are not available on the Mac and for that I run a program called Parallels. Parallels allows me to run multiple operating systems in a window on my Mac. I currently have Windows 7, Windows XP, Linux, OS Chrome, and Android installed on my Mac! I tried to run a Mac emulator on my Windows machine. Ouch! I later removed it. I get better performance connecting to my Mac with my iPad via "LogMeIn"! Here's something I found interesting. I have found that Windows 7 works better on an emulator on my Mac than it does on my Dell! What?! I have no idea why! I am convinced that there is a way to get better functionality out of my Windows machine because I know people who have done it! I am guessing that the reason that I can't seem to get Windows to work for me the way I want and need is because I'm just not smart enough! 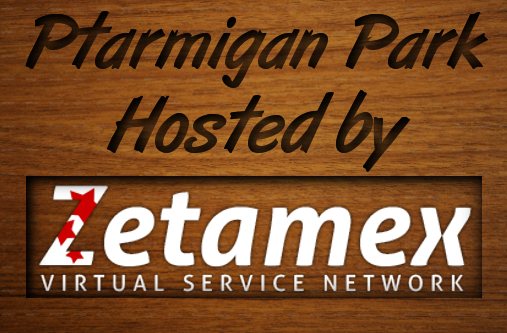 Ptarmigan Park is back on OSgrid! Zetamex did a great job getting my 4 regions moved and everything seems to be working well! I still need to do a little tweaking and cleaning up some things, but it's good to be home! Search Ptarmigan Park in the OSgrid map! Ptarmigan Park is moving back to OSgrid. I have sent a request to my Hosting Provider Zetamex to move my 4 regions from the Zetaworlds Grid to OSgrid. Zetamex did a great job keeping my regions up and running during the great OSgrid outage and I really appreciate all they did for me but I'm excited about getting back home. I intend to stay with Zetamex as my hosting company on OSgrid. I will update everyone when the move is complete. My region on the Metropolis Grid will stay as it is. Metropolis has kind of grown on me and I think I will stay for a while. Favorite Blogs and Websites - Let me know if you would like yours added!